It takes patience to grow grapevine trees. You're basically taking a grapevine, which wants to grow outward, and forcing it to grow up in a tree-like appearance. It takes attention and careful pruning to create the desired shape. Eventually, grapevine trees can reach 12 to 46 inches tall. 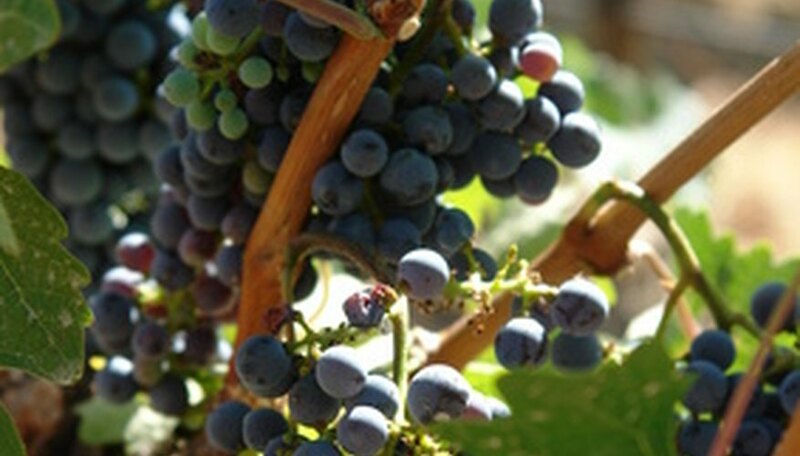 Just like with regular grapes, there are many varieties available to plant. Take a cutting from another grapevine or purchase a small plant at a nursery. Soak the grapevine in water overnight before putting it in the ground. Choose a planting location for the grapevine. They prefer to grow in full sun with rich soil, but can also do well in containers. Add peat moss to the soil in a 1 to 1 ratio if it has a lot of clay in it. This will help improve drainage. Dig a hole two feet deep. Make it wide enough for the grapevine roots to spread out. You can cut down the roots slightly if needed, as long as you don't cut off too much. Put a small mound of dirt at the base of the hole. Spread the roots out gently by hand. Cover with soil and tamp down lightly to remove air pockets. Water thoroughly until the soil is moist several inches down. Put a stake in the ground next to the grapevine. Tie the plant to it as it grows to create a straight trunk. Move the tie as the vine gets taller if necessary. Water grapevine trees frequently in their first year of growth. Keep the soil moist at all times, using your finger to judge the moisture level. Cut off lower shoots or leaves that ruin the appearance of a tree. You only want foliage and grapes to grow on the top of the vine, to create the tree. Allow the plant to continue growing upward. It takes several years to achieve a grapevine tree. Replace the ties as needed and cut off lower growth to make the bottom of the stem resemble a tree trunk.